So it happens that pianist Shelly Berg and bassist David Finck were hired by Chesky Records to play on a Livingston Taylor album. After they finished that session, with the high-end audiophile equipment still in place, David Chesky suggested the two stay and make a duo album themselves. And so they did, virtually on the spot. Since Berg and Finck play so well together, and know a lot of tunes, it was easy to come up with a standards set list in which Miles Davis, Bill Evans and Johnny Mercer are all represented. And because producer Chesky requested some free improvisation, the two created six tracks of spontaneous musical conversation as well, although in these hands each was nearly a song. The result is The Deep, a relaxed interplay between two supremely gifted and experienced pros at the very top of their game. But the music is wonderful. This marvelous album draws the listener in from the top, with the rarely-played and hauntingly beautiful "Fellini's Waltz." The arrangements are often intriguing: for instance, "Solar" goes on for two minutes before the melody appears, then snaps off about thirty seconds later. Other highlights include a revelatory eight-minute "Dindi" with a definitive Finck solo; the winsome "Whistling Away the Dark"; another gem from Jobim, "If You Never Come to Me"; and the lustrous "Why Did I Choose you?" Fans of thoughtful improvisation will treasure the free tracks, which highlight what makes this CD so unusual: the way the players listen and respond to each other, rather than going on a self-involved ego ride, intent on showing off their chops. Of course, it also helps that both men are such expressive and melodic players with a deep respect for each other. In the final analysis, it's this deep listening and steady empathic connection that elevates The Deep above the pack. To hear Berg and Finck support and inspire each other is a rare treat: the sound of jazz at its best. Shelly Berg: piano; David Finck: bass. This live date, recorded some 20 years ago but issued now for the first time, gives equal billing to each of the participants but being a piano trio it is de facto Pieranunzi’s session. 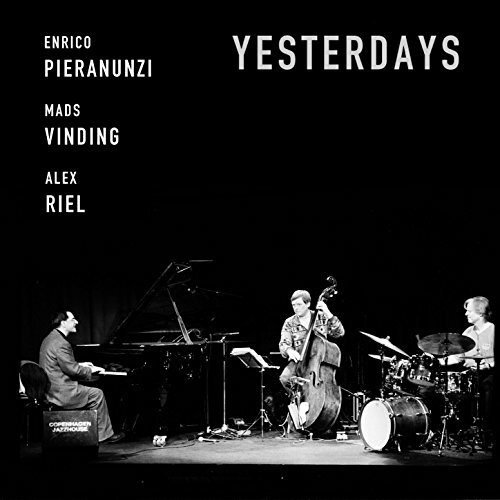 Like most contemporary piano trio jazz the music has lots of moving parts and the bass and drums contribute significantly to its inner complexity and the intricate melodic and rhythmic construction but the it pianist’s stylistic devices that set the tone hence my decision to give him pre-eminence. It is said that Pieranunzi’s formative musical influence was Erroll Garner and echoes of this remain in the teasing preludes with which he launches his often febrile and over-wrought forays into the interpretation of the several songbook ballads he explores at great length. Add to this the sentimental romanticism he picked up from his work with Chet Baker in the later stages of the trumpeter’s career, his innate feeling for melodic classicism, a touch of rococo embroidery and you have a pianist who is capable of producing music of great beauty and power. There are some gems in this set, notably a witty, off the wall version of Fats Waller’s `Jitterbug Waltz` but a tendency to ostentation and climactic pile driving overwhelms the ballads; for instance, `My Funny Valentine` gets a fair drubbing and emerges somewhat bedraggled and disfigured from the process as does the opening `Yesterdays`. Live dates do of course have the potential to dispose performers to overexcitement and the intervening years have shown Pieranunzi is still capable of grandstanding tendencies as the 2014 live date, also from the Jazz House, revealed in another somewhat prolix treatment of the unfortunate `Valentine`. Notwithstanding my reservations I remain a committed enthusiast of Pieranunzi’s subsequent work, particularly the wonderful CamJazz recordings that remain as examples of a high point in the art of the piano trio equalling in technique and expressiveness anything by Jarrett and Mehldau and this disc, though slightly flawed by the aforementioned mannerisms, will happily take its place on my shelf alongside my prized copies of his superb Morricone interpretations. 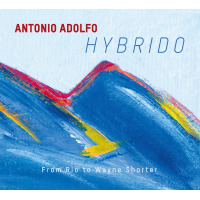 With well over thirty albums to his name, Brazilian composer and pianist Antonio Adolfohas now conjured up a really attractive paean to the master saxophonist and composer Wayne Shorter. The selection of tracks is excellent because it clearly demonstrates just how key a figure Shorter is to jazz. It doesn't replicate the 1988 Blue Note collection The Best Of Wayne Shorter but does include three numbers from that album. "Deluge" offers a warm ensemble-led invocation of this enticing track taken from Ju Ju. Then there's a relaxed version of Shorter's classic "Footprints," embellished by Zé Renato's wordless vocals. "Prince of Darkness" from Miles Davis's 1967 album Sorcerer is lusciously percussion-rich (including a deep tabla-like Baião percussion introduction). "Black Nile" from 1964's Night Dreamer is a satisfying interpretation of the original with bright piano from Adolfo. The elegance of "Beauty And The Beast" is encapsulated in its mixture of bossa and samba (Adolfo refers to it as SamBossa) and is one of two tracks taken from Shorter's "Native Dancer" album which he recorded with Milton Nascimento. The title track from Speak No Evil is a model of stately modality with its majestic and memorable theme and rich tenor solo from Marcelo Martins whilst the elegant "Ana Maria," again from Native Dancer, sports some nimble guitar from Lula Galvão. To conclude the set, there's a lone self-penned number by Adolfo, "Afosamba," a perfect example of his first-rate talent as a composer. The arrangements throughout are strong and for those familiar with all the Shorter tracks it affords them a new and vibrant dimension. For those unfamiliar with the numbers, the album will serve as an excellent and enticing primer, prior to sampling the original source material. It's also a timely reminder of just how important Shorter is in terms of his illustrious back catalogue of compositions. Deluge; Footprints; Beauty and the Beast; Prince of Darkness; Black Nile; Speak No Evil; E.S.P. ; Ana Maria; Afosamba. Antonio Adolfo: piano; Lula Galvao: electric guitar; Jorge Helder: bass; Rafael Barata: drums; Andre Siqueira: percussion; Jesse Sadoc: trumpet; Marcelo Martins: tenor and soprano saxophones, flute; Serginho Trombone: trombone; Ze Renato: vocals (2); Claudio Spiewak: acoustic guitar (3).